Join us (Catie & Sylvia) for our fifth retreat. 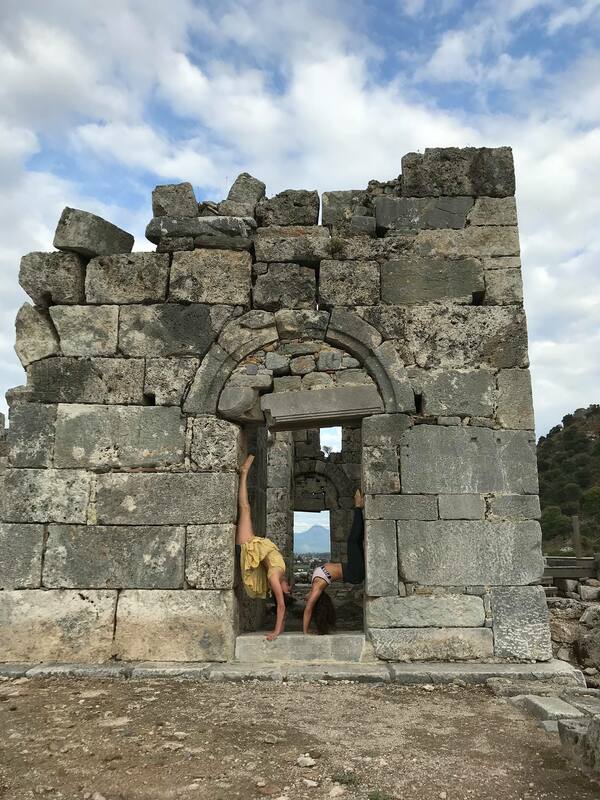 Many yoga sessions with a lot of emphasis on intelligent back bending and hand balancing in this beautiful venue . Incredible fresh seasonal organic vegan food. 3 meals per day with wheat/ sugar/ gluten free options. Our venue is a charming Victorian cottage set in two acres of beautiful garden. The two acres is idyllic mixed woodland that are restorative, peaceful and also the perfect backdrop for acro! £110 per person extra for arrival for Thursday lunch. 14) so get in touch with either of us directly to book!